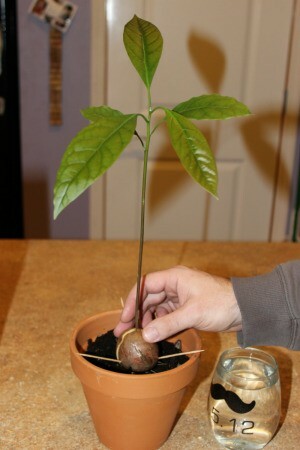 If you were lucky enough to have your avocado seed sprout, then you will now need to plant it. Choose a pot that is big enough that you won't have to repot it right away. Use a potting soil that is somewhat sandy, to allow for good drainage. Add some soil to the pot and then test fit your seed, making sure that the top half of the seed will remain above the soil. Be very careful not to break the roots. You can just cut or break off the toothpicks. Then gently work soil in and around the root, making sure that the seed is well support underneath. Then finish filling up the pot, leaving the top half of the seed sticking out. You may need to stake your plant up. Your plant will do best if you mist it regularly. 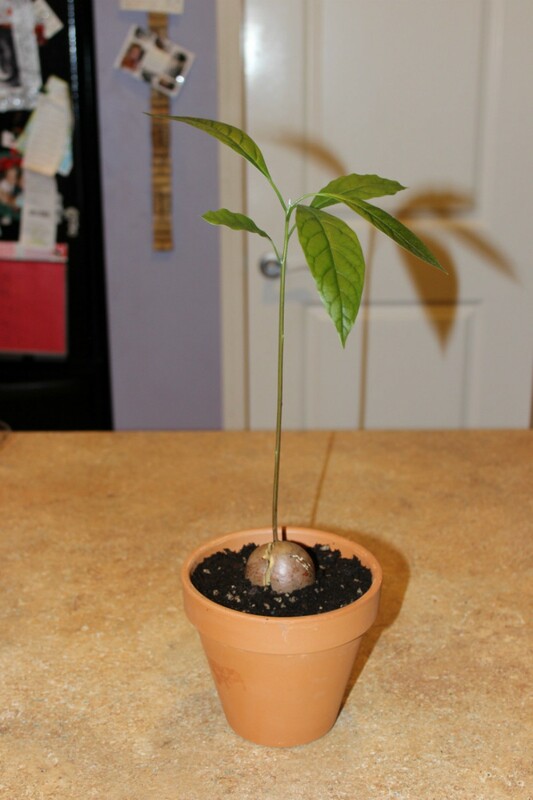 When watering your avocado plant, allow the soil to dry out slightly between waterings. Place your plant in a warm location, out of direct sun light. Pinch back growth as necessary. Wait a few months before fertilizing. I like the picture of your avocado plant! I remember when I used to have jars all over the kitchen counter, with avocado seeds hanging from toothpicks. I love avocado plants, and the only thing I could never do was prune them back, and they always grew straight up. I love them and I will probably do another several this spring and maybe sell them for fundraising. Another fun plant to grow from seeds is the TickleMe Plant. The TickleMe Plant is a real house plant that closes its fern like leaves and even lowers its branches when you Tickle It!